Could we see Robin Lopez knocking down threes in the future? Lopez thinks so. Much was lost Tuesday—other than the game—in the closing tumult of the Bulls defeat by the Dallas Mavericks. There was Jimmy Butler’s next big shot, then the Mavs’ three to go ahead without the timeout, Jimmy with another attempt, the defense and lack of it, the Dwyane Wade miss, the questions, the disappointment of falling back under .500 for the season. 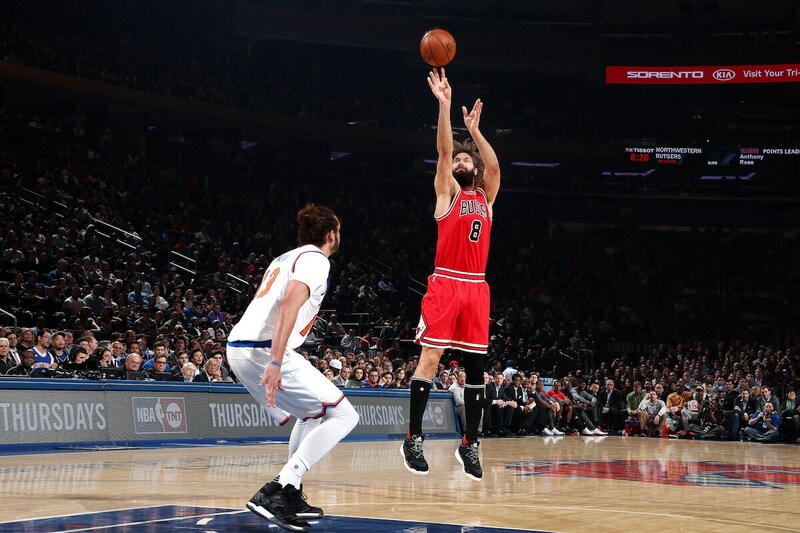 But as the Bulls prepare for the Friday/Saturday games in Atlanta and Saturday in the United Center against the Sacramento Kings, there was the new offensive addition from Robin Lopez with a personal season high 21 points, and continuing his own experimentation with the bomb. Call it the Chicago Project. It’s the big man three, and it may be coming soon. Taj Gibson, who was out with a sore ankle Tuesday but is expected to play Friday, has quietly been moving out his range. After not making a three pointer since 2010, Gibson made one last week in Washington and attempted three in the last two games. Gibson had a combined trio of three point attempts in the last two years. He had more than that in a week. And now perhaps comes Lopez in this growing NBA trend of seven footers, even the formerly hulking inside ones, shooting the threes. Robin probably can, though he never has made one in nine years in the NBA with five attempts. He’s got one of the most reliable straight on mid range shots on the team. He’s averaging 9.4 points and 7.1 rebounds this season, both above his career averages. He’s a career 53 percent shooter, though below that this season. But the prankster born on April 1 was 10 of 15 against the Mavericks, most on jump shots and hooks, and has shot at least 50 percent in three of the last four games. Not exactly ready to be prime offensive option, but Lopez can score. It could have been fun for the Bulls, a defensive three-point challenge away from a three-game winning streak and good feelings all around. Instead, it was another day of reflection about how to be more committed and consistent. “We get down 13, then the urgency kicks in. You've got to have that urgency from the beginning of the game. Again, we just had too may mistakes, things that led to easy baskets for them, a team that is playing with some pretty good rhythm right now in Dallas. You can't give them that kind of confidence early in the game. We competed all throughout the end of the third and all of the fourth. That's not enough. It's got to be 48 minutes." Actually, 24 might have been enough the way the Bulls started the third quarter before rallying back to take a late lead. It’s been a trend, and positive in that they don’t give in; negative in that it takes that to still be hanging around .500. “I think consistency has been an issue with us on a lot of different scales, from quarter to quarter and game to game,” said Lopez. That’s something we need to focus in on.” Lopez also said the Bulls seem to have a better commitment against the better teams, but so do most teams around .500. “I really think it’s an issue of focus,” Lopez said of the 7-4 record against the league’s top 10 teams. “I think against the good teams we’ve displayed that focus. We’re a little more keen because we’re afraid of losing to good teams. 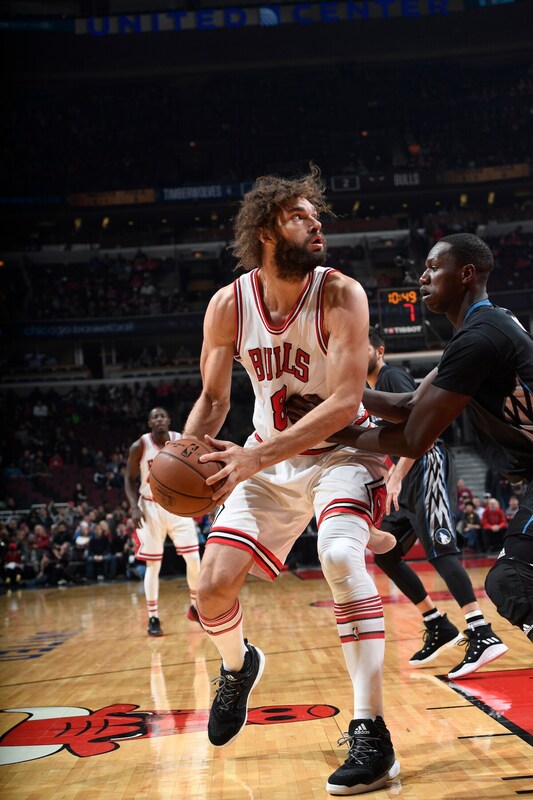 There are moments I think where we take certain situations for granted and we have mental lapses.” Though Lopez didn’t want to say the Bulls take anyone for granted, as if they can. Lopez was given a day off from practice Wednesday. He said he was good, and he has been good, consistent in his play all season, gobbling up offensive rebounds and blocks. He leads the team in both underrated categories and willingly and quietly has ceded the close of games lately to the more mobile Cristiano Felicio. Lopez is not the All-Star game type, but valuable to teams. Butler and Wade will find out Thursday night on the TNT broadcast if they will be starters in this year’s All-Star game. Butler is certain to make the team, Wade probably if he wins the combined popular/player/media vote. The coaches select the reserves and there’s growing All-Star depth in the Eastern Conference. Expanding even more in the NBA is the three-point shooting that is reaching lengths—and heights—never imagined. It’s one thing for Stephen Curry to average 10 three-point attempts per game. But for Brook Lopez to average five is turning the game upside down. “I think it’s wonderful for the game. I think there’s a real premium on skill at all positions on the court. I think that’s going to continue. You’re going to have more skilled and more talented big men and you’re going to have guards who will similarly adjust by pulling up from half court, like the Ball (basketball family) brothers at UCLA. It’s really interesting the way the game is going to evolve. I think the pendulum swings a little bit and it goes (to now) a guard heavy game, which people like, a fast-paced game,” said Lopez. “But there's always a new breed of big men right around the corner. What kind of big guy do I want to be? I've always prided myself on being a defensive big man. I've always admired that kind of back-to-the-basket game. That's what I grew up watching. But who doesn't like stepping out and shooting threes?" The Bulls will see plenty of it Saturday from Sacramento’s DeMarcus Cousins, one of the most unrestrained big man shooters in the game. The Grizzlies Marc Gasol shoots almost 40 percent on threes. The Knicks Kristaps Porzingis is at 40 percent and others are threatening the mark, like Serge Ibaka, Kevin Love and Marressee Speights. In the 1980s when the shot became official, few guards were close to 40 percent.